If you are looking for a dessert to impress – look no further, this recipe has it all! 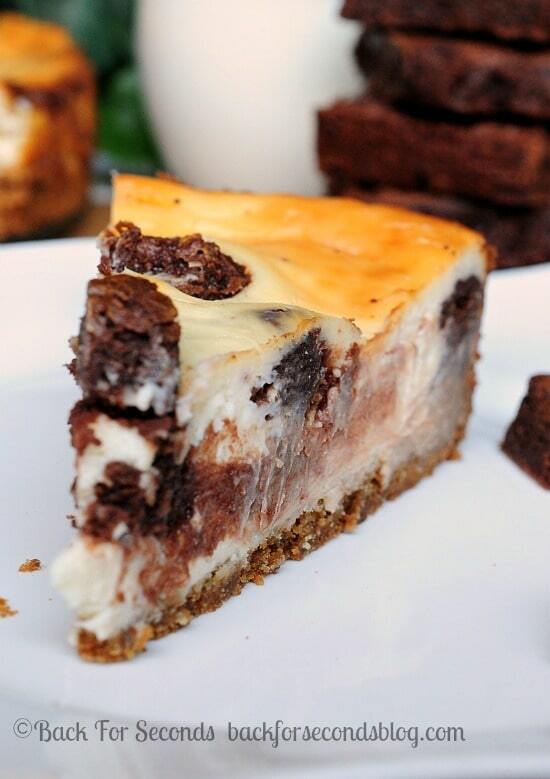 Brownie Stuffed Cheesecake with a Peanut Butter Cookie Crust is rich, creamy, and has a crust that is out of this world! My favorite dessert is a rich, fudgy, super chocolatey brownie. Call me boring, but I never get tired of them! 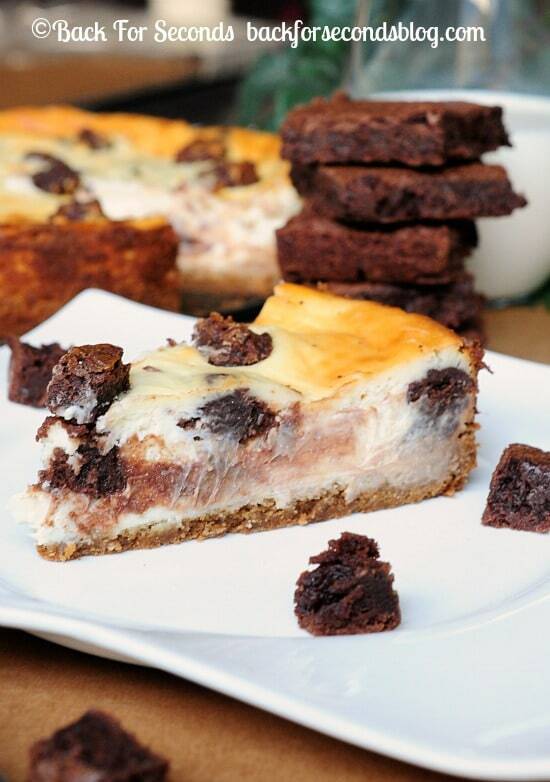 I’ve shared several desserts with you using my beloved brownie. Like: Strawberry Cream Filled Brownie Cups, Peppermint Patty Stuffed Fudge Brownies, Skinny Fudge Brownies with Butterscotch Drizzle, Spicy Cinnamon Fudge Brownie Pie… and many more. 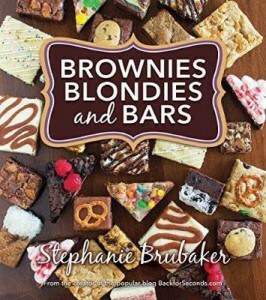 Just search my blog for brownies and you will find tons of killer recipes. My second favorite treat is basically anything peanut butter. I combined my favorites and added them to a rich, creamy cheesecake. Talk about dessert utopia! This cheesecake has a peanut butter cookie for the crust!! 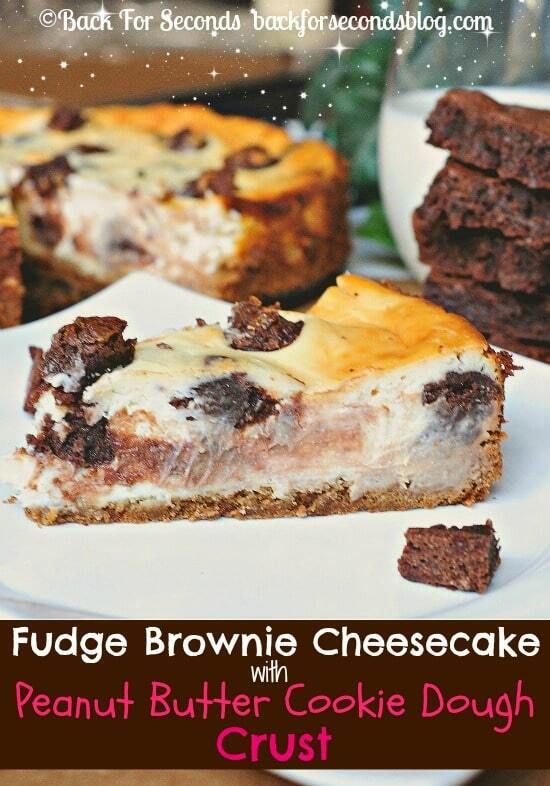 And my very favorite fudge brownies are chopped up and stirred throughout the cheesecake batter. Holy yum! 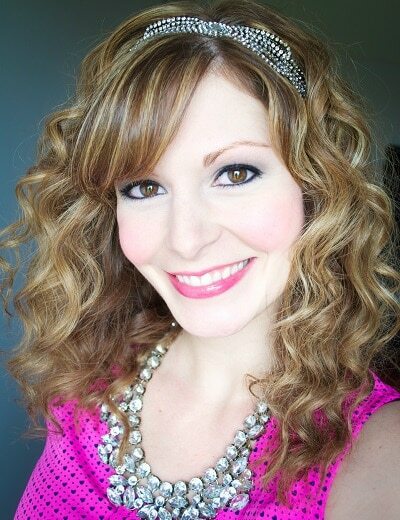 These pictures were taken right before we moved. The whole house had been packed up and I had no intentions of baking and photographing anything before we moved into our new house. But then this cheesecake happened and I just had to share it with you! I apologize for the less than stellar pictures, but trust me, the recipe is worth it!! Make this for your next party, or family gathering. Everyone will love you! Made this again tonight! Taking to work again! Love it! What is suppose to be the second item, brownie?